New Woolf’s Clothing DIY kits coming soon! But first… I gotta WORK IT! Working full time, working a side business, getting ANOTHER side business up and running, trying to squeeze in a tiny bit of personal time, and figuring out what to shove in my mouth every now and then to keep me going (which, i am sorry to say, has included an overabundance of fast food lately)… how are we supposed to fit it all in?? Who’s with me on this one?! Any superwomen out there, I would LOVE to hear your secrets… because it just isn’t all hashing out for me these days. To say I feel like a chicken with my head cut off is an understatement! It’s like I’m a chicken who just got off of the tilt-a-whirl and THEN got its head cut off. 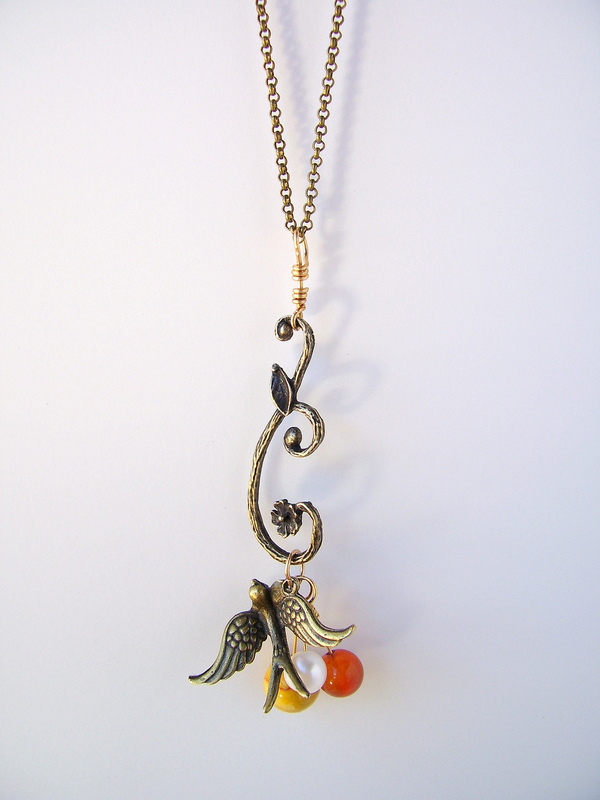 This is my Bronze Birdie with her Autumn Gems Necklace. I just love the way it hangs and moves when you move. A little bit romantic, a little bit Bohemian… it is an extra long length, so it hangs just below your bra line… it gives it a little extra dangle-and-swing. 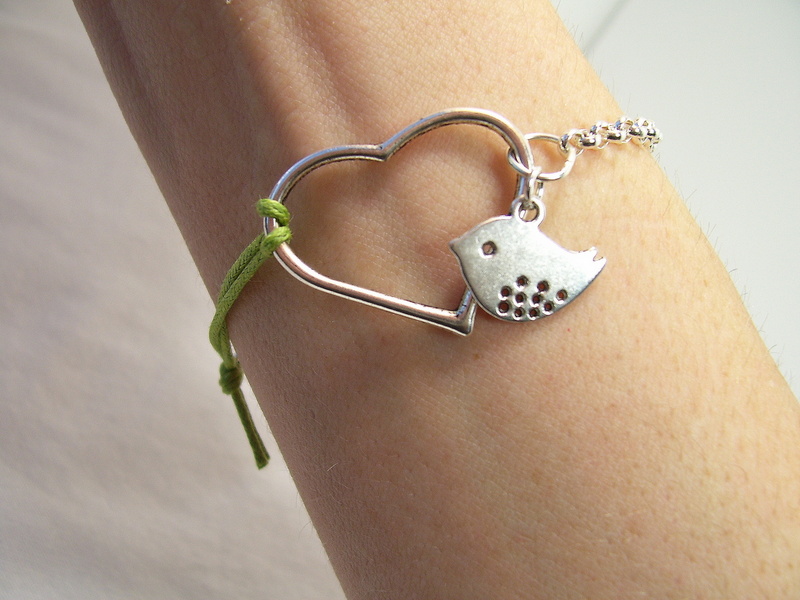 And this sweet little piece is My Little Love Bird Bracelet. Simple and silver, and great for layering! I am really diggin’ on the two different materials for the “chain” of this little guy… very unique and unexpected. So there’s a sneak peek… now wish me luck with getting these tutorials done!! oh yeah… another distraction… I’m going to spend this evening painting a logo on the wall of my little bro’s brand new CROSSFIT GYM!! 😀 It’s called CrossFit Vital… so all you Tulsa types, check him out! He will whip you right into shape and you’ll have fun doing it! Previous Bronzed and Blued Braided Wrap Bracelet – DIY Tutorial and Kit! Next Brine-Cured Pickles – 2 Ways for twice the pucker!